La Bloga: La Bloga Celebrates 10 Years and over 1 Million Readers! Talking About Chris Abani's Novels and Poetry . . .
La Bloga Celebrates 10 Years and over 1 Million Readers! Talking About Chris Abani's Novels and Poetry . . . 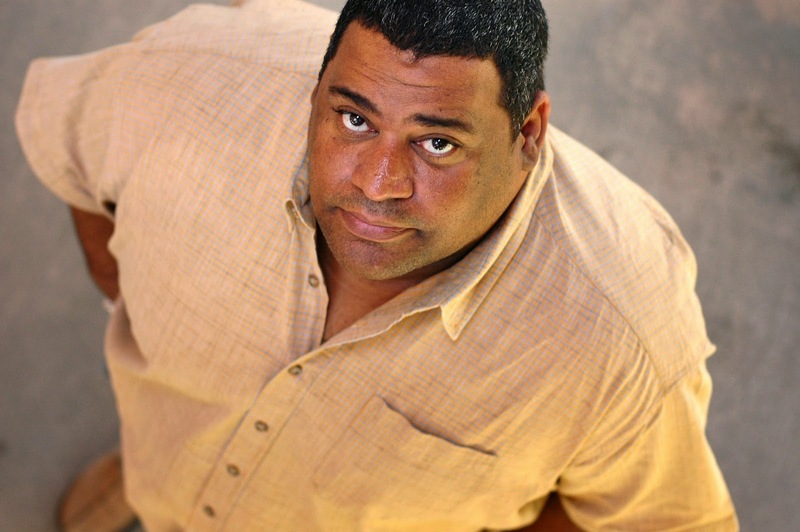 I begin this new “La Bloga” decade writing on the work of poet, novelist, essayist, screenwriter, and playwright, Chris Abani. Chris Abani’s writing is an energetic, complex musical borderland crossing. No, he is not Chicano, just like many of the beats and rhythms in the song “La Bamba” are not Chicano, not even Mexican in the conventional, normative use of the term. “La Bamba,” like Republic of Congo musician, Francois Luambo Makiadi (Franco), is not Chicano, yet both “La Bamba” and Franco’s music are an interesting mix of Afro Latinidad. A side note: Last January, in my post, “Twisting & Shouting Afro-Latino Musica,” I talked about Francois Luambo Makiadi, better known as Franco, the music legend from the Congo. (Click here for the posting). 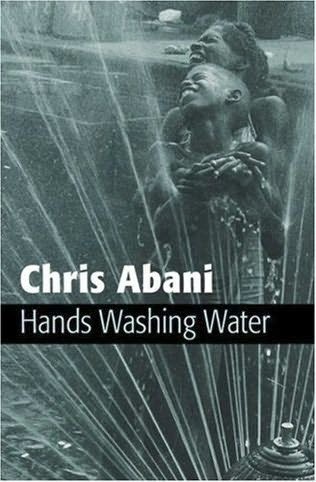 Today, I continue to write about African connections to Latinidad, specifically considering the writings of Chris Abani. 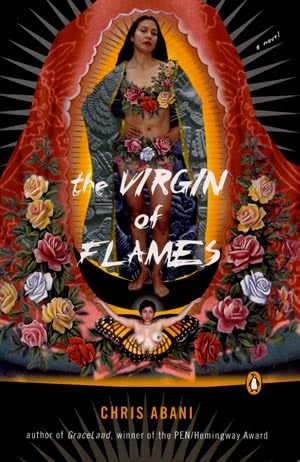 Abani’s connections to Latinidad reside in the spaces between and among Mexican, Chicana/Chicano, Latina/Latino cultural sensibilities, sexualities, and gendered preoccupations. Abani is the author of four novels, two novellas, six books of poetry. 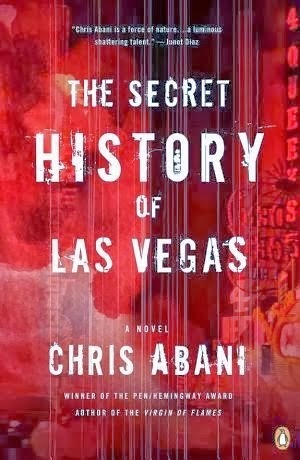 His most recent book is The Secret History of Las Vegas (click here for the New York Times review). He is Nigerian and also has British and American citizenships. 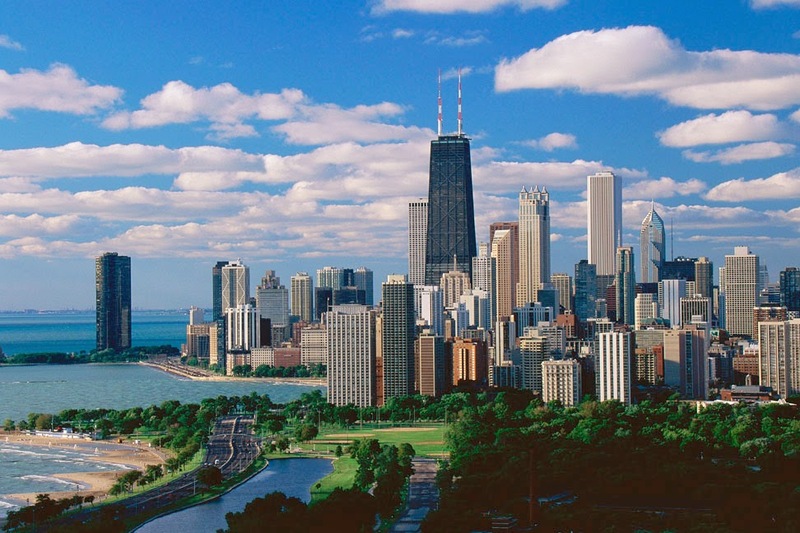 For over a decade, he has lived in Los Angeles, and this year, Abani moved to Illinois taking a post in creative writing/English at Northwestern University. With an Igbo father and Salvadoran mother, Black never felt he was much of either. It was a curious feeling, like being a bird, he thought, swaying on a wire somewhere, breaking for the sky when night and rain came, except for him it never felt like flight, more like falling; falling and drowning in cold, cold water. When he felt the water rise, he would morph. “I’m a shape-shifter,” he told Iggy once. And he was, going through several identities, taking on different ethnic and national affiliations as though they were seasonal changes in wardrobe, and discarding them just as easily . . .
Iggy understood. He knew people often said that—I understand—and it meant, Don’t tell me any more, I can’t hear you. But Iggy, he knew, really did. Time flies, he thought, time flies and you never know where it has gone. He was thirty-six with nothing, except a spaceship that didn’t fly and a bunch of paintings on the walls of the river to show for it. Murals of Montezuma at his local McDonald’s buying a Big Mac; mermaids draped on red couches, sometimes with legs and a mighty python wrapped around their waists and dangling down between their legs, sometimes with fish tails, with eyes of passion and fire, eyes that could undo a man. There was one of Charlie Chaplin as the Tramp heading off into the concrete horizon. In another, an Aztec priest held a young man bleeding to death while a car, gunfire spitting from its windows, sped away into the city. An Indian woman holding a gun and wearing a purple scarf stared defiantly from another. Hieroglyphics that he had created and whose meanings remained a mystery even to him ran between the murals like frames. It seemed that as fast as he could paint them, the army engineers (who’d built and maintained the river wall) covered them up; the army and the bloody city council. But somehow there were still many that managed to escape, and sometimes a homeless person riding a bicycle or pushing a cart down the channel from a distance looked like part of a painting, as though they had come to life; part of the river’s memories and dreams . . .
Abani does not flinch from painful truths his characters display. It is the job of the writer to sit in meditation with them, unafraid to breathe in their every deep psychological cut in order to exhale their words. These are characters whose loneliness and fear mirror the society from which they come. 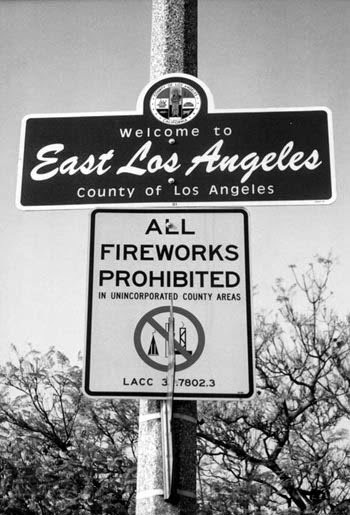 This is what Los Angeles has made. Abani’s loving and respectful rendering, however, makes them and their city beautiful. In his TED talk on Humanity, Abani says, “We’re never more beautiful than when we’re most ugly—that’s the moment we really know what we are made of.” (Click here to see Abani’s TED talk.) Although I cannot speak (yet) on all of his literary works, from what I’ve read so far, this quotation seems to be one main guiding force in his writing. “La Bloga” has mentioned Chris Abani before. In the “La Bloga” archives, I found Manuel Ramos’ piece from 2008 (click here). Ramos listed Abani, one of the finalists for the Dayton Literary Peace Prize for his novel Song For Night. the breath of those you’ve loved; long dead. rises and dips away with every ridge. fingers stiff from time, you trace. of an ice-cream truck and its summer song. able only to tease with a weak sting. from the hard stone of death, you smile. They used to write epics about moments like this. Wishing you all, Queridas y Queridos “La Bloga” readers, a rich and most profound week! Great blog, Amelia! Thank you for the Abani update. I look forward to checking out more of his work. I enjoyed this very much! Thank you! 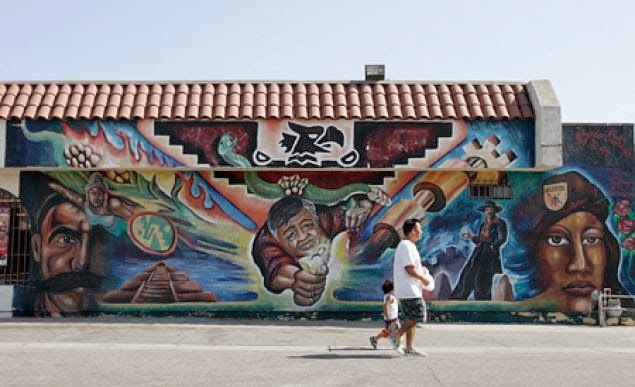 Immigrant Voices / Xánath Caraza en L.A.